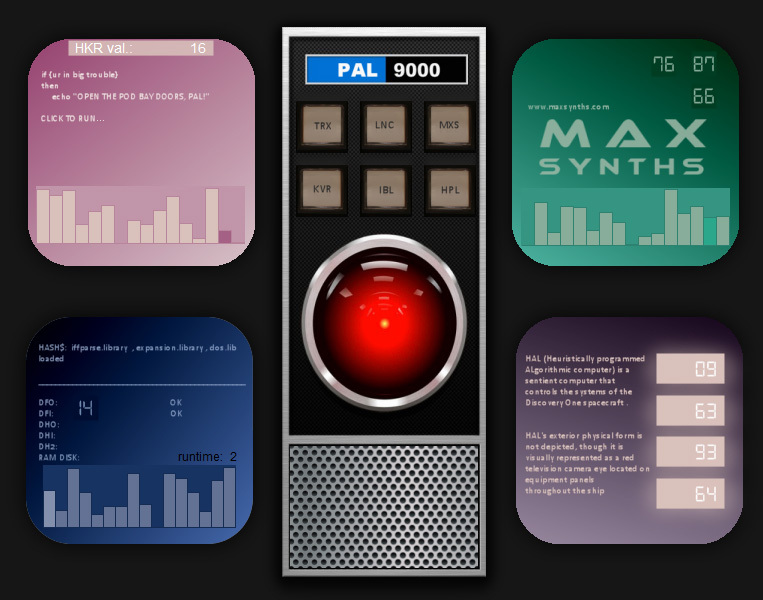 PAL-9000 is a noise synth, good for special FX and Sci-Fi stuff. The random sequences generated with PAL-9000 could have a very long evolving time, so the best thing is to press a key and let it sing. PAL-9000 reacts to pitch bend, modulation wheel, channel aftertouch and its sequencers can run in sync with the host tempo. PAL-9000 features some randomization controls to produce new patch combinations on the fly, other than this the instrument is conceived as a random noise generator, for this reason all controls and functions are undocumented.